Creamy matcha green tea has now turned into the perfect summertime treat! What’s better than your favorite beverage being frozen into a delectable, creamy, mid-afternoon pick-me-up? Nothing, I venture to say. Give Me a Creamy Matcha Green Tea Popsicle! So anyway, I tend to be one of the types of people who, if I love a specific food, I want to use that food in everything. So that’s what I’ve done with matcha green tea. I’m so in love with this beautiful green tea that I want to eat it in as many different ways as possible. I started off with a simple matcha green tea latte, then it evolved into an iced matcha green tea latte, then I turned it into a matcha green tea frappe as an ode to my past addiction to the Starbucks® green tea Frappuccinos®. This happened at a time when I was in a popsicle craze phase. I just couldn’t get enough of popsicles. 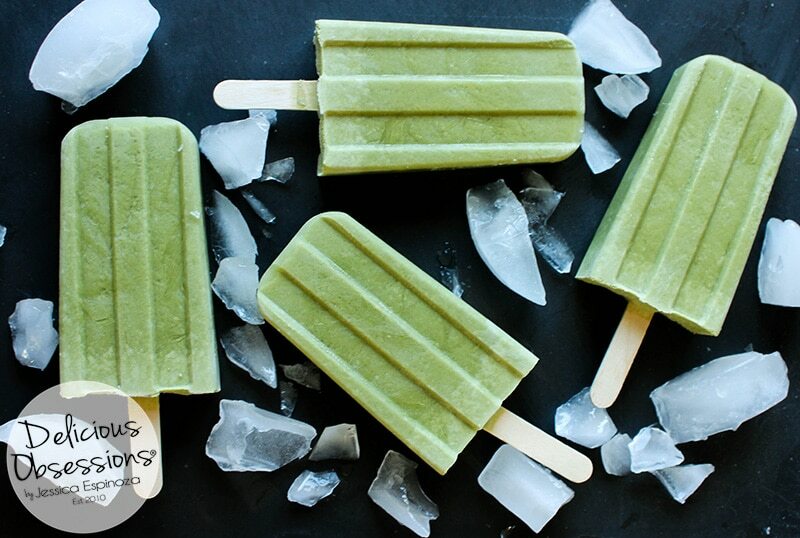 And these matcha green tea popsicles did not disappoint. They were everything that I wanted in a creamy green tea at beverage but they came frozen and on a stick. I don’t know if it’s just me, but I find that sometimes eating food off a stick is a lot more fun than drinking it out of a glass. Crazy, huh? It seems like so many commonplace things in our lives were quite literally accidental inventions. If Frank hadn’t left that cup out on his porch, AND the temperatures hadn’t fallen that night, who knows how long it would have been before the good ol’ popsicle was born! Psst…If you are a fan of popsicles, maybe now would be a good time to insert a few of my favorite popsicle recipes? Check these delicious treats out. 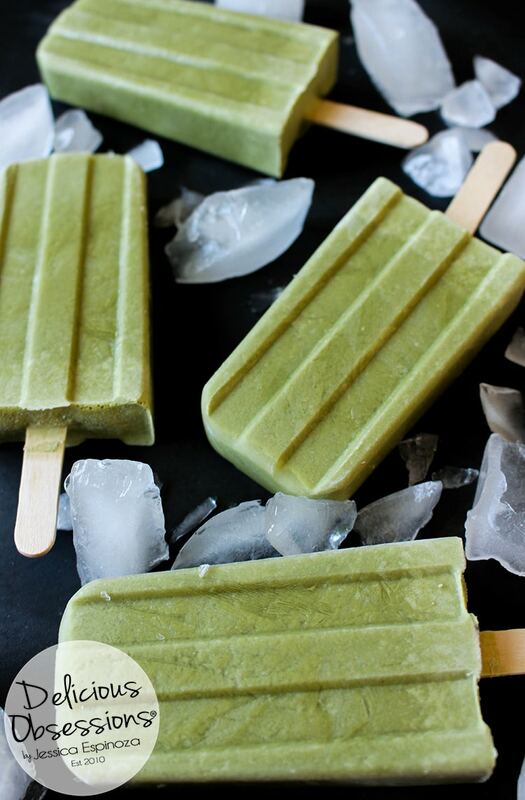 But please come back so you can check out today’s creamy matcha green tea popsicles! 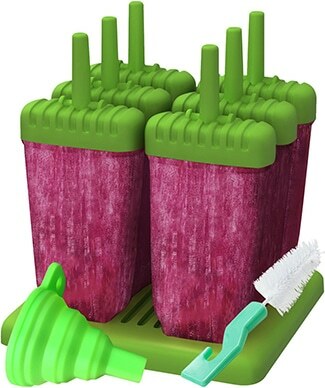 I know not everyone has popsicle molds on hand in their kitchen. 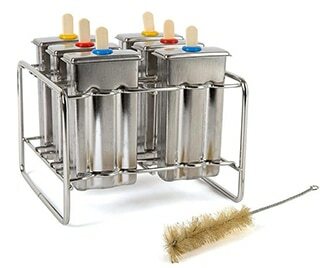 I can tell you that if popsicles are something your family enjoys, even somewhat frequently, they are a worthy investment and quite honestly don’t cost that much. Here are a few options for you in a variety of price points. You can click on the name or the image to be taken to Amazon to learn more about the product. If you don’t have popsicle molds and don’t want to buy any, then you can easily use small paper cups like these 3-ounce Dixie bathroom cups and wooden popsicle sticks like these to make your own popsicle molds. The small cups typically come in 3-ounce, 4-ounce, and 6-ounce cups. 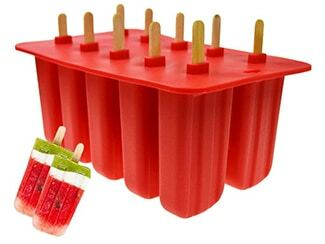 I personally prefer the 3-ounce cups as I think they are the best size for a popsicle. But use whatever size your family likes. Alright, enough of all this! Let’s dive into the recipe, shall we? Heat your water until almost boiling. Place your matcha powder in a small glass bowl or jar and add the water. Whisk to combine and then set aside to brew. In a blender, combine your erythritol, stevia, vanilla extract, almond extract, coconut milk or cream, collagen powder, and vitamin C powder. Add your matcha tea mixture and blend again until well combined. 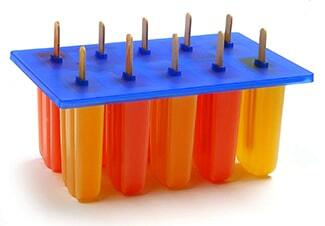 Pour into your popsicle molds (see above for suggestions) and freeze until solid, at least 6 hours or overnight.